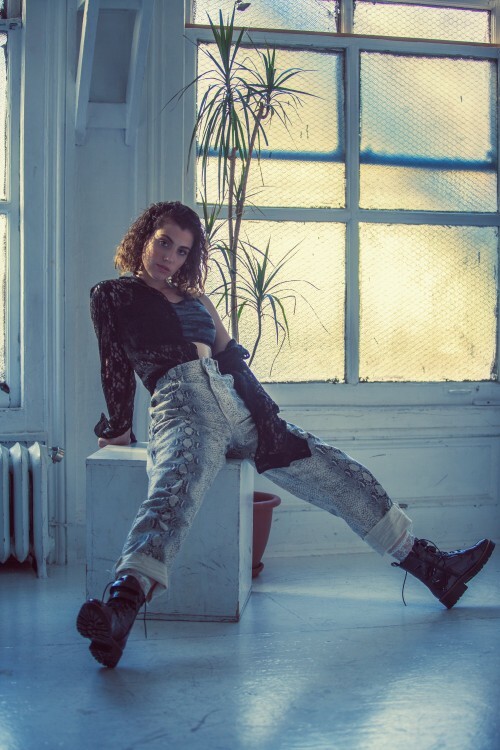 Check out 先生Sensei’s feature on Sara Diamond to hear “Know My Name” + another great track from her recently released ‘Foreword’ EP! Hear Sara Diamond’s “Know My Name” in Vol. 7 of Str8OutDaDen.com’s Da Den 10! Casablanca Sunset stream “Know My Name” from Sara Diamond’s recently released ‘Foreword’ EP – listen now! Blahblahblahscience share Sara Diamond’s “Know My Name” – listen now! Stream Sara Diamond’s ‘Foreword’ EP through Pause Musicale! I Heart Moosiq showcase Sara Diamond’s snazzy simmering, jazzy drawling “Know My Name” off her recently released ‘Foreward’ EP! Read Music Is My Radar’s review of Sara Diamond’s ‘Foreword’ EP! The Iscream stream Sara Diamond’s debut ‘Foreword’ EP! Disco Naïveté add Sara Diamond’s “Know My Name” to their New Music Spotify playlist! Listen to Sara Diamond’s “Know My Name” now via Born Music! “Know My Name” by Sara Diamond tops Stopify Canada’s Undiscovered Trends Spotify playlist! Hear ‘Foreword,’ Sara Diamond’s debut EP, over at Acid Stag! Bristol Funk add “Know My Name” by Sara Diamond to their Future Rnb | New R&B Weekly Spotify playlist! Bong Mines Entertainment Blog share “Know My Name” from Sara Diamond’s recently released ‘Foreword’ EP! IX Daily stream ‘Foreword,’ the new EP from Sara Diamond – listen now! ColoRising stream Sara Diamond’s new ‘Foreword’ EP – listen now! Elicit Magazine share ‘Foreword,’ Sara Diamond’s debut EP – officially out now! Sara Diamond shows a more exploratory side of her performance and songwriting on “Know My Name” – stream her new single via EARMILK! Congrats Sara Diamond on the release of ‘Foreword’ – hear “Know My Name” in Kick Kick Snare’s Condensed Spotify playlist! Canadian Beats reviews ‘Foreward,’ Sara Diamond’s debut full-length! Sara Diamond fantasizes about her dream tour with Daniel Caesar, Kehlani and more for Digital Tour Bus! “Crash” by Sara Diamond is added to Bristol Funk’s Future RnB | New R&B Weekly Spotify playlist! Sara Diamond’s phenomenal “Crash” only heightens Music Is My Radar’s desire for her forthcoming ‘Foreword’ EP! The melody in “Crash,” Sara Diamond’s new single, is perfectly haunting – hear it in NYLON’s Soundcheck: The 10 Best Music Releases Of The Week! Check out the exclusive Spotify playlist Sara Diamond curated for Aesthetic Magazine in celebration of “Foreword,” her new single! Hear MC4D’s remix of “Fool” by Sara Diamond in SoundGrail’s Selects: Where Good Music Lives Spotify playlist! City Soundcheck stream Sara Diamond’s new single “Foreword” – listen now! Stream Sara Diamond’s new tracks – “Latter” and “Foreword” – over at The Ikonic Music Blog! All Access Music sits down with Sara Diamond for a great chat! EARMILK spin Sara Diamond’s ‘soul-stirring’ and ‘enticing’ new tracks – “Latter and “Foreword” – in episode 8 of The Slice! IX Daily ‘can’t stress how infectious Sara Diamond’s vocals are, and her delivery on top of that’ – stream “Foreword” now! New Lease Music’s Song of the Day is “Foreword” by Sara Diamond! Stream Sara Diamond’s “Foreward” through Alfitude! Different Kitchen shares Sara Diamond’s new track “Foreward” – listen now! Mystic Sons include great new tracks from Sara Diamond and Michael Paradise in their latest New Music Discovery! “Latter” by Sara Diamond is featured in V64 of Acid Stag’s Let’s Hear It For The…GIRLS! Soave. add “Latter” by Sara Diamond to their Feel Good Friday Spotify playlist! Hear tracks by Sara Diamond and Kane Incognito in EarToTheGround Music’s eclectic summer party playlist! Stream “Latter,” Sara Diamond’s latest, over at LAOnLock.com! Sara Diamond’s “Latter” is added to Chill Therapy’s YouTube playlist! Hear the brand new singles from Sara Diamond and Goosebump in Mystic Sons’ latest New Music Discovery! Sara Diamond captivates I Heart Moosiq with her ‘caramelized voice’ on new single “Latter” – listen now! SONG PREMIERE: Thanks to The Line Of Best Fit for debuting “Latter,” the new, R&B-esque single from Sara Diamond! Hear Sara Diamond’s “Fool” over at Music Update Central! Nu Music Group share “Fool,” Sara Diamond’s new single! Don’t sleep on Sara Diamond – vibe out to “Fool” in Oblivious Pop’s Hot Tracks May 2018 playlist! Wonky Sensitive feature the new videos from Jessicka and Sara Diamond in their In Case You Missed It… recap! Hear “Fool” by Sara Diamond in The New Nine’s New 9 Tracks Spotify playlist! DOPECAUSEWESAID streams “Fool,” the new single by Sara Diamond! Sara Diamond befriends I Heart Moosiq’s ears and enraptures their heart with sultry new single “Fool” – listen now over on the blog! Stopify Canada add “Fool” by Sara Diamond to their Undiscovered Trends Spotify playlist! Stream Sara Diamond’s new song “Fool” through Elite Muzik! New tracks from Sara Diamond and Jesse and the Dandelions in the latest CelebMix music roundup! Lemonade Magazine review/stream “Fool,” Sara Diamond’s new single! Sara Diamond ‘flexes her creative prowess – both through words and beats’ on “Fool” – listen now via Aupium! Stream “Fool,” the new single from Sara Diamond, via The Millennial Y! Hear “Fool” by Sara Diamond over at Aipate! At cost magazine share “Fool,” Sara Diamond’s latest track! Wonky Sensitive call Sara Diamond’s “Fool” her most exceptional offering to date – hear it now over on the blog! Sara Diamond’s “Fool” is featured in idobi Radio’s Inbox Jukebox! Hillydilly are impressed with “Fool” by Sara Diamond – hear it now! Sara Diamond shares new track “Fool” on the always amazing Kick Kick Snare! Sara Diamond stunning new single ‘Three Words featured over at This Is On Repeat! Music Is My Life sharing ‘Three Words’ the lastest single from Sara Diamond! Nonorderly has coverage of Sara Diamond’s ‘Three Words’ – see what they have to say! New Chilled Hits playlist from Double J Music adds the latest from Sara Diamond! I Heart Moosiq featuring the amazing Sara Diamond track ‘Three Words’! Newest Sara Diamond included in a great round-up at Dansende Beren! Listen to the infectious new track from Sara Diamond on Ride the Tempo now! Sara Diamond’s ‘Three Words’ featured on At Cost magazine! Elite Muzik shares the great new single ‘Three Words’ from Sara Diamond! We love this great new playlist of from B-Sides & Badlands which has the new Sara Diamond and Lavender Child! IX Daily features Sara Diamond’s brand new single ‘Three Words’ today! Indie 88 premieres brand new Sara Diamond single! Sara Diamond’s new single ‘Stay a Little’ is featured on rBeatz. Give it a spin now! Stay a Little by Sara Diamond up on the always amazing Diamond Deposits! Thanks to Robaer for adding Sara Diamond to his new playlist! Gems & Secrets covers the new Sara Diamond single ‘Stay A Little’! HighClouds includes Sara Diamond in their weekly playlist! Thank you to Lemon Magazine for the review on Sara Diamond’s ‘Stay A Little’. Head on over to Sync Music Blog for Sara Diamond’s new single! B-Sides & Badlands has Sara Diamond’s new single ‘Stay A Little’. Sara Diamond featured in this week’s idobi Radio ‘Inbox Jukebox’ series! Sara Diamond is Song Of The Day at Northern Transmissions today! Hear the latest from Sara Diamond over at El Tino! Check out new music from Sara Diamond over at Music Is My Life now! 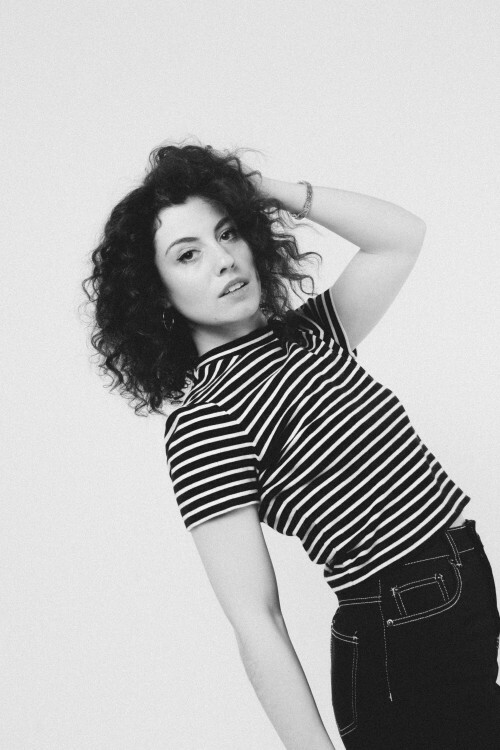 Sara Diamond’s new single ‘Stay A Little’ is so great. Listen now over at Aesthetic Magazine! Going Solo’s wicked Spotify Playlist features the new track from Sara Diamond! Sara Diamond premieres new single ‘Stay A Little’ on Clash Magazine today! Music Is My Radar features Sara Diamond on their Daily Dig. SpinGrey shares the new single from Sara Diamond on their ‘Workaholics’ Spotify Playlist! New Sara Diamond single ‘Unsure’ featured on El Tino! Embrace the unpredictability with Sara Diamond over at Gems & Secrets! BO’s ‘Baby Come Back’ and Sara Diamond’s ‘Unsure’ both Work Hard Playlist Hard’s Fresh Picks! Great to have the support of Unrecorded for Sara Diamond’s latest track ‘Unsure’. Check out what I Heart Moosiq has to say about Sara Diamond’s new video/single. Ground Sounds shares Sara Diamond’s video for her new single ‘Unsure’. Sara Diamond included among some of the freshest new music over at Going Solo’s New Artists Discovery Playlist! Stoked to have The Violet Wave name Sara Diamond’s latest ‘Song Of The Day’! FAMEmagazine shared the newly dropped Sara Diamond track ‘Unsure’. Sara Diamond’s new ‘Unsure’ video premiered at PopMatters! Big congrats to Sara Diamond for hitting 100k on Spotify! New Sara Diamond single up on The Permanent Rain Press! New Sara Diamond single up on The Smoking Section! PopCrush names the debut Sara Diamond single one of the best songs of the week! 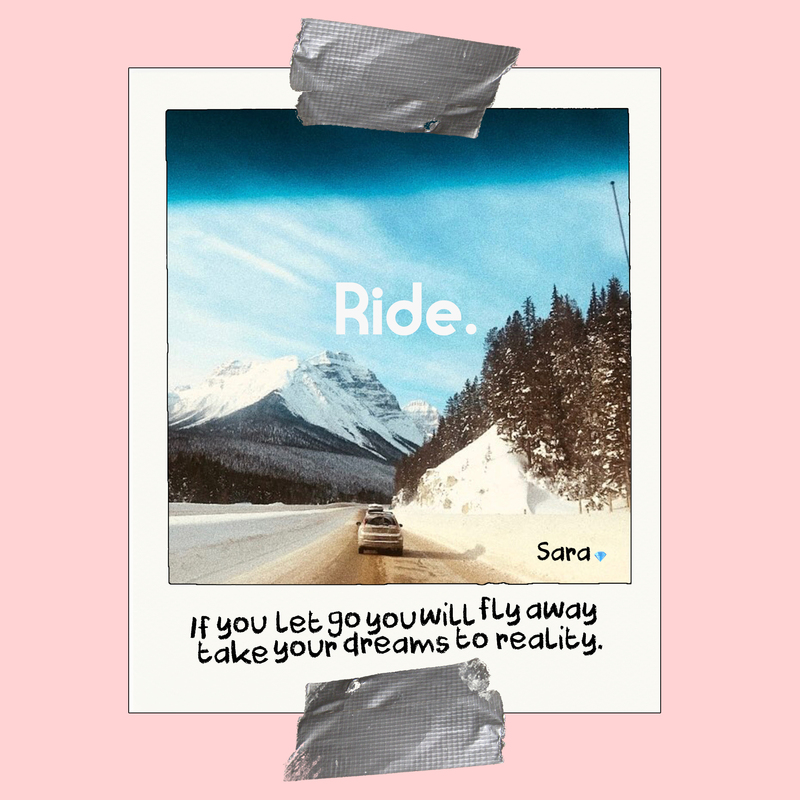 Ride the Tempo is all about the new Sara Diamond single! Bands of Tomorrow wants you to hear the new single from Sara Diamond! Debut single from Sara Diamond named one the best songs of March at MuuMuse! IX Daily makes the case that you should be paying attention to Sara Diamond’s new single. Check out the debut single from Sara Diamond on Ultimate Music! Sara Diamond is a breath of fresh air. – The Daily Listening! Hear the debut single from Sara Diamond at Wonky Sensitive. Find the debut single from Sara Diamond over at Kick Kick Snare. The official debut release from Sara Diamond is premiering right now at Noisey! Listen to the incredible “Just Give In” at the link!